This product requires the base game Chuusotsu! 1st Graduation: Time After Time. Chuusotsu! 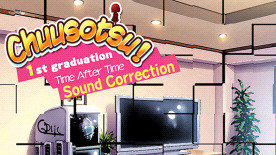 - Sound Correction is an original Soundtrack for Chuusotsu! - 1st Graduation, containing 13 tracks of stellar music from the game.